It’s Christmas Eve, and Miss Clavel and her charges are all in bed with colds. All except Madeline, who answers the door to a mysterious man selling rugs. But when the rug-seller reveals that he is actually a magician, all the little girls are whisked away on a magical Christmas carpet ride! 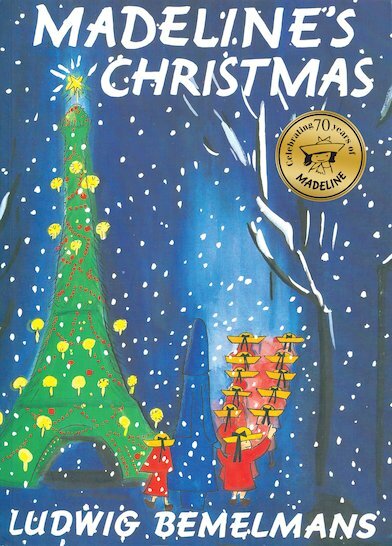 Celebrate 70 years of Madeline in a classic festive tale that sees you soar through the glittering Parisian skies and explore Christmas Eve from Santa’s point of view! The small but feisty Madeline and her charming world have been loved by children and adults alike for generations.